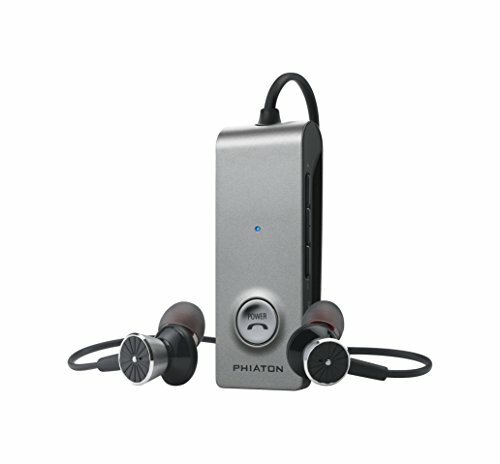 Encapsulating the on the go lifestyle, phiaton’s BT 100 NC is the Convenient wireless transportation for your music, wherever you may go. The BT 100 nc’s ‘wear around your neck’ wireless simplicity enables you to have access to your music, your calls, and Active noise cancelling all in one. Unique features such as a vibration notification so you never miss a call and our everplay-x technology where you can listen to your music even if the battery runs out, Stand out in the marketplace. The light weight design, features full inline controls to manage your music and calls without ever touching your devices. Whether you are enjoying the Active noise cancellation during travel, exercising worry free with IPX4 sweat and water resistance, or hands free with the Bluetooth 4.0 technology, the BT 100 NC has all the features you will need, and more, for your Active lifestyle. Features include: Bluetooth 4.0, aptX, Active noise cancelling, everplay-x technology, vibration notifications, IPX4 sweat and water resistant, NFC pairing, clear voice capture (CVC), Multipoint connection (up to 2 devices simultaneously), full inline controls to manage your music and calls. 2.4 GHz transmission frequency, Bluetooth wireless, around 33 ft. operating range. Headset auto power off function. Has cord connection option for use with standard audio devices. When cord connected can provide audio even when not turned on. NFC pairing. Allows simultaneous connection of two Bluetooth devices (ex: watch a movie on a tablet and answer phone calls from smartphone), defeatable power on/off, Bluetooth pairing, and battery status voice announcements. Supports voice activated dialing when used with Bluetooth capable cell phones that have that feature. Bluetooth connected Apple mobile devices using iOS Version 5 and above will show the earphone's battery level.